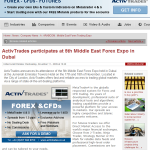 ActivTrades announces its attendance of the 5th Middle East Forex Expo held in Dubai at the Jumeirah Emirates Towers Hotel on the 17th and 18th of November. Located in the City of London, ActivTrades offers fast and reliable access to trading global markets via a range of state-of-the-art dealing platforms. 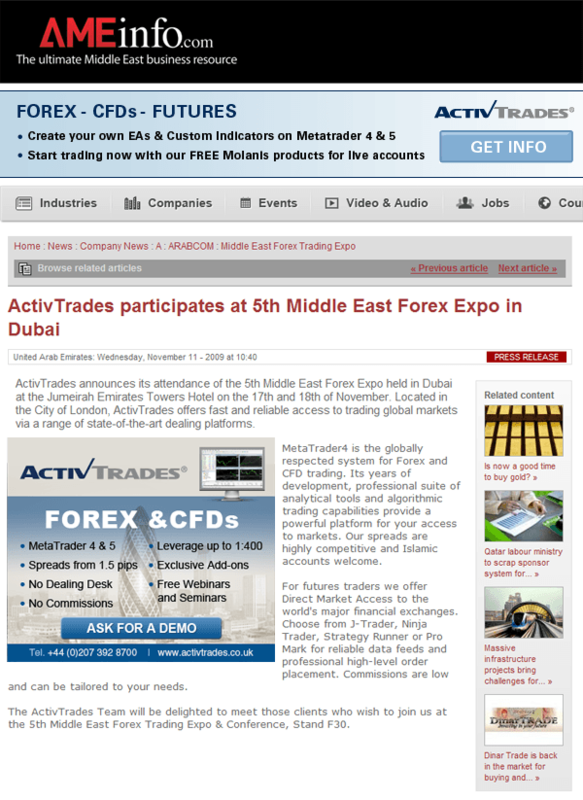 MetaTrader 4 is the globally respected system for Forex and CFD trading. Its years of development, professional suite of analytical tools and algorithmic trading capabilities provide a powerful platform for your access to markets. Our spreads are highly competitive and Islamic accounts are welcome.